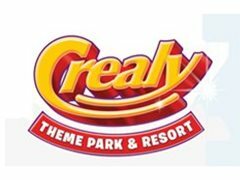 Crealy Theme Park & Resort is the South West's number family day out and an award winning family attraction located just minutes from junction 30 of the M5 near Exeter. Ideally suited to families with children from 2 to 12, the Park has over 60 rides and attractions set in over 100 acres of glorious Devon countryside. There are over 100 zoo and farm animals, 30 outdoor attractions and a variety of live entertainment shows and other exciting activities to choose from. With heart-stopping rides for thrill seekers to soft-play and animal petting for younger guests, Devon's Crealy is the South West's number one family day out!